In this heavily illustrated volume in the TankCraft series Dennis Oliver focuses on the Achilles - the British variant of the American M10 - which was one of the most important Allied tank destroyers of the Second World War. It played a key role in the armoured battles fought on the Western Front, in particular in France, the Low Countries, Germany and Italy. Built on an adapted Sherman chassis, with sloped armour, an open-topped turret and powerful 17-pounder gun, it was designed to counter the threat posed by the formidable panzers deployed by the German army towards the end of the conflict, in particular the Panther and Tiger tanks. 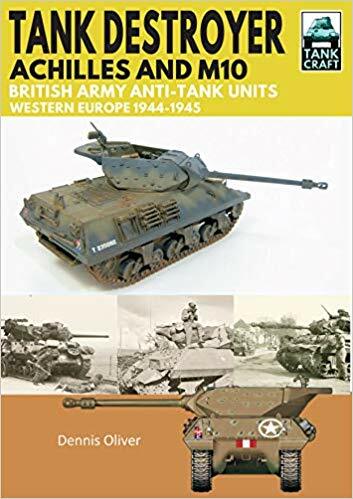 The book covers the design and operational history of the Achilles in close detail, using rare archive photographs and meticulously researched colour illustrations, as well as a detailed, authoritative text. A key section displays available model kits and aftermarket products, complemented by a gallery of beautifully constructed and painted models in various scales. Technical details as well as modifications introduced during production and in the field are also examined providing everything the modeller needs to recreate an accurate representation of these historic armoured fighting vehicles.